Stunning 5 bedroom home has numerous upgrades! Wainscoting accents, 9’ knock down ceilings, & hardwood flooring are found throughout & welcome you in. Open concept kitchen has an abundance of cabinets, granite counters, feature island, raised eating bar, & corner pantry. Gorgeous centered fireplace is surrounded by windows for natural sunlight to shine through. The dining room has coffered ceilings & patio doors to the back deck. 2 pc bath & a large locker style mud room complete the main floor. Master retreat features a soaker tub, db sinks, & glass surround shower with bench. 4 pc bath & 3 additional bedrooms are found upstairs, all with ample closet space. The 4th bedroom can easily be converted back to a private bonus room. Basement has been professional finished & accommodates the 5th bedroom, games room, family room, 4pc bath, & laundry room. Located on a corner lot with a south facing yard, deck, & shed. 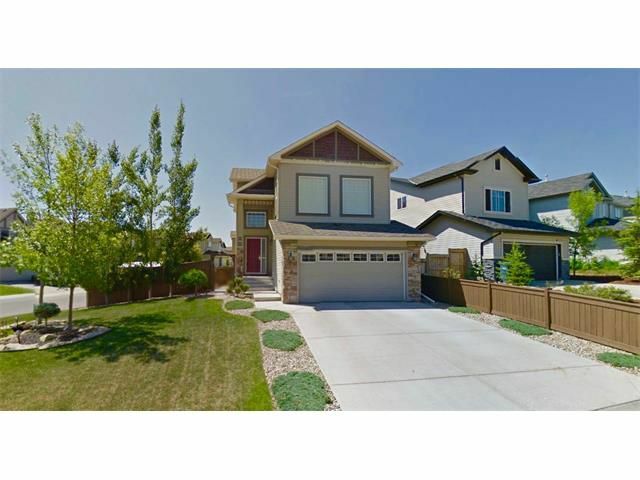 Walking distance to schools, playgrounds, amenities, & Fish Creek Park!